It’s time to move away from albums, gigs and photos for a while and take a look at some of the music-themed books that have kept me sane on buses, trains and planes during 2015. By sheer chance, I’ve managed to pick out quite a nice variety of styles and themes, so the selection staggers from light-hearted memoirs through serious autobiography to high technology and serious crime (no, I don’t mean the new Coldplay album). So, as ever, in no particular order, here we go. There’s a myth that’s been perpetuated about the origins of the current situation where we have a generation that won’t pay for music and a generation that doesn’t even recognise the concept of paying for music. 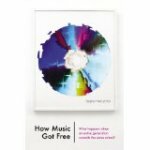 What Stephen Witt’s book achieves is a comprehensive demolition of the myth that file-sharing came about because of some sort of people’s revolution where millions of like-minded people decided to share their digital music collections. This well-researched work picks out the various converging paths ultimately leading to the digital devaluation of music. The book explores the bureaucracy that bedevilled the adoption of a standard compression algorithm, the greed of the major music labels as they rushed into the highly lucrative CD market, the failure of the majors to react to the phenomenon of file compression (and increasing online transfer speeds which made sharing a viable proposition) and the outright criminality involved in stealing and counterfeiting masters from CD pressing plants. It’s a fascinating but ultimately depressing book. 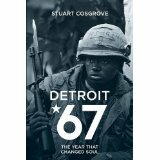 Stuart Cosgrove has picked out a pivotal year in the history of Motown and imposed a structure of a chapter per month (it works pretty well) which sets the upheavals at Motown against a backdrop of riots in Detriot, unrest in the police force and a general national malaise. Berry Gordy plays a central role in the well-known story of Diana Ross’s advancement at the expense of the other Supremes (and the expulsion of Florence Ballard), but Stuart Cosgrove delves deeper into the sickness at the heart of the company, dealing with the unease of major artists and the ultimate defection of the Holland/Dozier/Holland writing/production team. The book goes far beyond music biography by showing these events in the context of a city in meltdown with riots on either side of the racial divide and a brutal, corrupt police force fanning the flames. It’s a fascinating read, although there are far too many typos in the Kindle edition. Confession time: the first song I performed in public was Creedence’s “Up Around the Bend” in a school band which included some good musicians and a future nuclear physicist, and me. I was a fan from an early age. 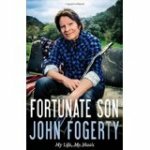 “Fortunate Son” is John Fogerty’s attempt to put the record straight after accusations and counter-accusations, suits and counter-suits with his former band members Doug Clifford and Stu Cook. The book is unflinchingly honest throughout; John Fogerty isn’t trying a whitewash here. He owns up to his mistakes and errors of judgement and this gives him the right to expose others’ lies and hypocrisy. It’s difficult not to empathise with him in his battles with Saul Zaentz and the former Creedence members: he wrote the songs, after all. “Fortunate Son” pivots around John Fogerty’s meeting with his second wife, Julie, who brought order to his chaotic life and pushed him back towards popular and critical recognition. It’s good, it’s honest, it’s straightforward and it’s delivered in an authentic John Fogerty voice. Declan McManus has an awful lot of stories to tell and, not surprisingly, he has a gift for writing and storytelling. 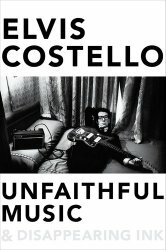 “Unfaithful Music…” is a cracking read, giving an insight into the creation of some wonderful music, and life in the music business bubble. The book doesn’t follow a straightforward chronological structure; it’s much more like a conversation in the pub with each observation triggering another digression. There are some difficult events to deal with (the Stephen Stills/Ray Charles incident for example) and they’re all dealt with in a very matter of fact way. The book skips over some big chunks of Elvis Costello’s life, but the ones he does tackle are done with honesty and candour. The names that crop up as the story unfolds are a history of popular music, but this never feels like name-dropping, they’re just people who happen to have been around at certain times. This is a wonderful book. 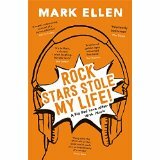 Mark Ellen’s memoir is a breezy and self-deprecating run through a life as a pop journalist, radio presenter, TV presenter and publisher. He gives an inside view on life at the NME in the seventies, The Old Grey Whistle Test and the Live Aid broadcast, all delivered in a jaunty style that’s very easy to read. He’s met and worked with some amazing people (again, it’s all matter-of-fact rather than name-dropping), but being a member of Ugly Rumours with Tony Blair takes some beating. Most of the book is fairly gentle humour, smiles rather than guffaws, but Mark Ellen saved the best for last. His account of the mayhem aboard Rihanna’s ill-conceived and farcical round-the-world-in-seven-days tour made me laugh out loud. The entire book’s funny, but this piece was hilarious. If you don’t see anything you fancy there, Chrissie Hynde’s “Reckless” and Bob Harris’s “Still Whispering After All These Years” are both well-written and interesting biographies.